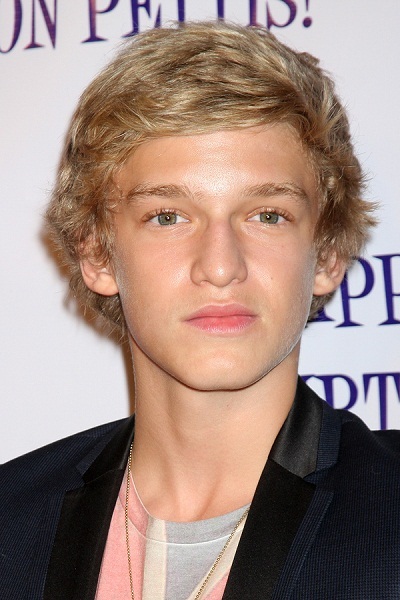 Cody Simpson is an Australian singer, songwriter, dancer, and actor. His surname is typically English or Scottish. Cody’s maternal grandmother is named Gail Greenwood. Cody’s sister is singer and actress Alli Simpson. Maybe it’s just me but he looks slightly Eastern european. I can see it. They have hooded eyes. Cate Blanchett has that look too, even though she’s also English. Another blonde, blue eyed Australian…. It’s obviously a British Isles surname, but he wouldn’t look odd anywhere in Northern Europe.